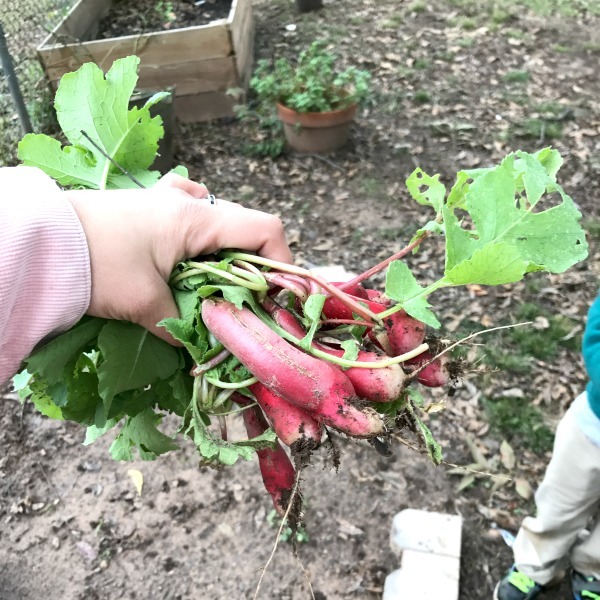 One of the most successful vegetables for me to grow has been radishes. I eat the root parts in everything from salads to steamed in lasagna, but what about the leaves. 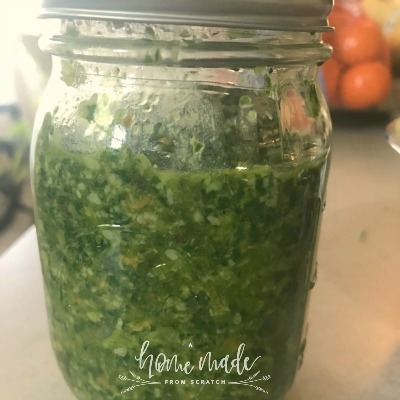 Here is a good way to use this unsung hero: leaf pesto! I have complications with tall, hundred year old pecan trees that make my backyard pretty shady. Despite this, the radishes thrive in early spring and late fall. They do not like the heat of the summer. It is so mild here, even with the 20ish degree weather, the heavy leaf cover provides enough nutrients and protection that the radishes overwinter easily. Last year was very successful for my “French breakfast” radishes. The radishes were chopped, steamed and hid in all sorts of foods like homemade lasagna. The kids definitely do not like them raw but cooked and covered up, no one even notices. This left a lot of wonderful greens. In fact, I would argue the leaves are the best part of this little root vegetable. After I made a couple of batches of this and I must say, it’s arguably one of the best pestos. In fact, I had no idea what I was missing. The bitter flavor is actually more complimenting to the olive oil and parmesan than basil. That’s it, it’s pretty simple. This recipe lends itself to many varieties in both nuts and greens. I even threw in some garden garlic scapes! The great part of pestos is the ability to be customized. I have read many recipes with differing amounts of leaves, parmesan, other kinds of nuts, including pine nuts and varying amounts of olive oil. 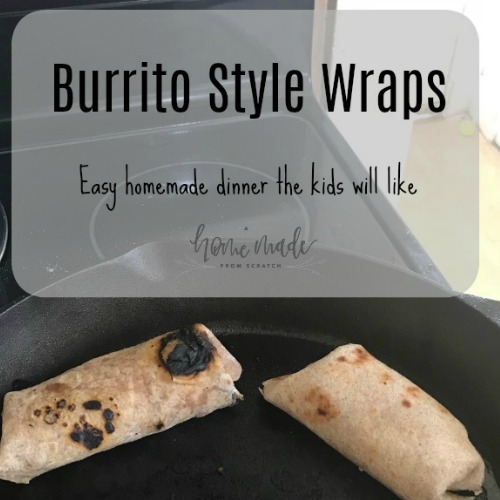 I’m so excited about this recipe and the ideas! 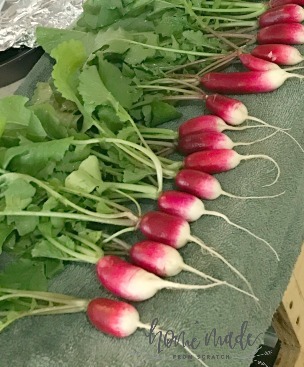 I’m not a fan of radishes and am always looking for ways to enjoy this super nutritious veggie! I can’t wait to grow and hide this in all sorts of things this summer! 🙂 Thanks for the ideas! 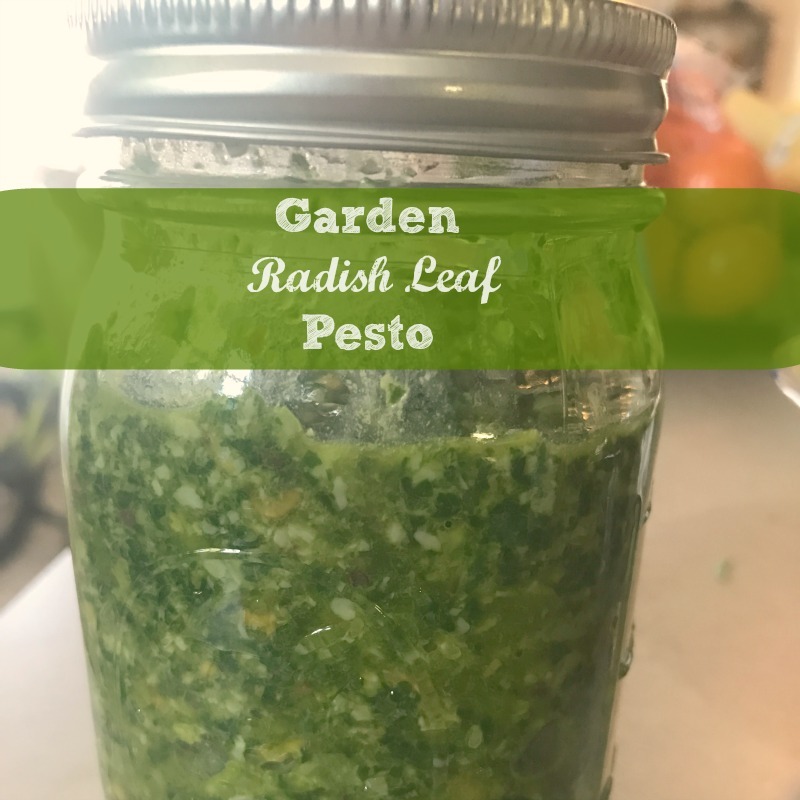 And pesto… radishes are usually more successful than my basil. 🙂 Yey! Found you at the Homestead Blog Hop!